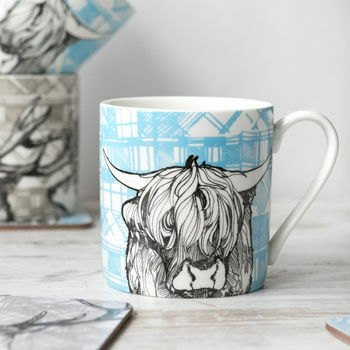 Gillian Kyle is an award winning Scottish brand offering unique home and gift collections with a wee touch of humour. Modern, Scottish design at its best. Hello, I'm Gillian. I'm a Scottish lassie and have had a passionate love affair with drawing since I was a little girl! I've always wanted to be my own boss (the term 'unemployable' many possibly even been used in the past) so couldn't wait to set up my own design business after graduating from Glasgow School of Art. 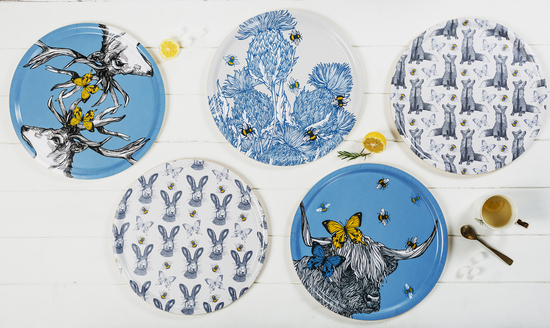 I noticed a gap in the market for beautiful and modern Scottish-themed gifts and home items with a witty edge, so I decided to make some - and the Gillian Kyle brand was born! 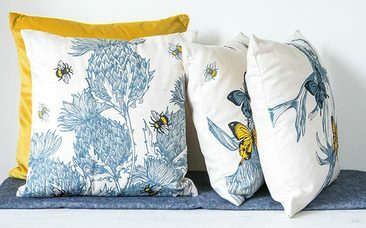 From printing tote bags at my kitchen table the business has gone from strength to strength to become a well known and loved Scottish brand. We've even been shortlisted as Glasgow's Favourite Business! 8 years on and I'm now a married mama of 2 beautiful baby boys. Its been a wonderful, rollercoaster ride; every week brings exciting challenges and opportunities and I'm delighted to find that I'm still brimming with ideas for new designs! 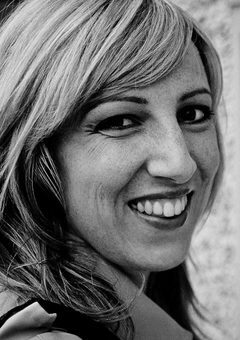 I get the biggest buzz from growing my business and creating lovely products. I can't imagine doing anything else. 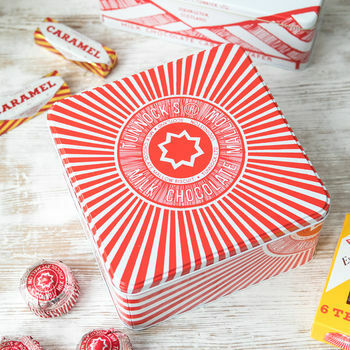 If you're looking for unusual gifts for Christmas, birthdays, Mother's or Father's Day, our unique Scottish designs are bound to bring a smile to their lips! 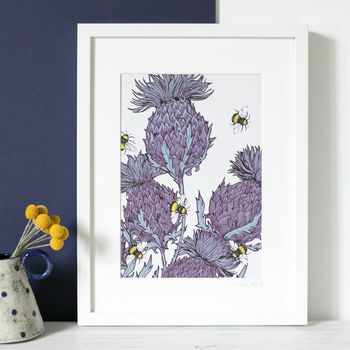 Everything piece I design starts life with hand-drawn pen and ink artwork, created by me in my wee studio near Glasgow - that's the bit of the job I love the most. Its messy and imperfect and completely and utterly joyful! 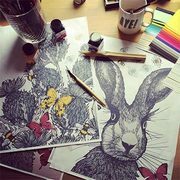 Then I use a little computer magic to turn my drawings into print designs and use them to adorn a wide range of Scottish gifts, homeware and accessories. 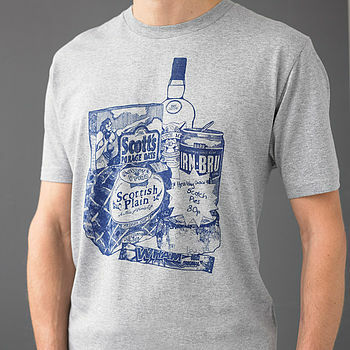 My designs celebrate everything thats great about Scotland and Scottish culture - with a large dash of tongue-in-cheek humour thrown in for good measure. 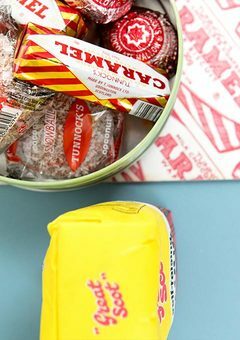 My pieces make great gifts for Scots at home or abroad, for lovers of all things Scottish all round the world and - of course - for Tunnock's fans everywhere. I hope you like what I do! "Exactly as described, really helpful seller, prompt answers to questions." "The print is fantastic. It was hard to know which of the three to choose, they're all so good." "The seller kindly posted this directly to a friend for her birthday and even put a gift message inside. Fantastic!" "Really nice quality. Excellent service and packaging." 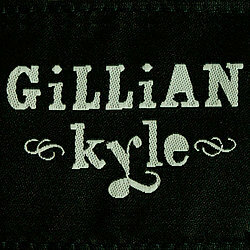 Gillian Kyle offers delivery with Royal Mail, with prices starting from £2.75. Your package will normally be dispatched the same day and be with you a day or two later, but you should allow up to seven days for your items to arrive, in case of any unforeseen delays. We're sorry, but we can't be held responsible for any delays caused by third parties. Please also see notonthehighstreet.com's delivery policy below.